2) Opulence which contains whitening agents to help brighten skin tone and lighten pigmentations. When conducted before a major function. it gives a tremendous lift and glow to the skin. Our clinic has been booked to the brim daily since we started this treatment. Be aware though, that there are many centres offering this "Oxy facial" but not all of them uses the original Intraceuticals equipment to deliver the oxygen or use the original Intraceuticals Serums. 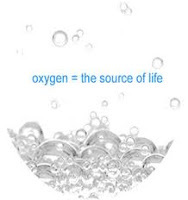 Also you need a full 45min to 60min infusion of the oxygen for full benefits and make sure you are not short changed with just 15min of actual oxygen infusion in a 1hr facial. Hi, i am interested in this Oxygen facial. Is it only for face or also for the neck? How much does it cost & do you have to do it weekly or monthly? Hope to get a reply. The Oxy facial infusion can be carried out at any part of the body, and the most popular areas are the eyearea, face and neck. So yes, it is also great for the neck since the neck skin is pretty sensitive and you gotta be careful with the treatments conducted in this area. Of course the neck should not be forgotten and rejuvenation of the neck area is a sure way to look younger because as we all know, the neck and hands are the giveaway of the true age of a person. Regime depends on how dry or dehydrated your skin is and how much "repair' you need. If you want a marked improvement, a weekly session of 6 times is recommended after which a monthly maintenance is sufficient. Unfortunately I am unable to quote the price here as this is not a sales&marketing blog. Please call our centre at 03-79601788 for info, appointment and prices. 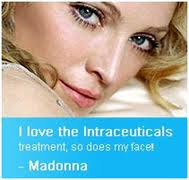 Yes, Oxy Infusion facial can treat any skin type or skin condition. 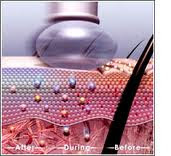 Several treatment sessions are required for results but immediately after your skin puffed up and glowing. Please call our Medispa centre at 1300-88-1788 for any appointment. Have fun discovering your glossier skin!